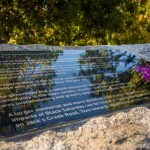 Recently completed, this memorial is dedicated to local people who lost their lives in the bushfires of February 2009. 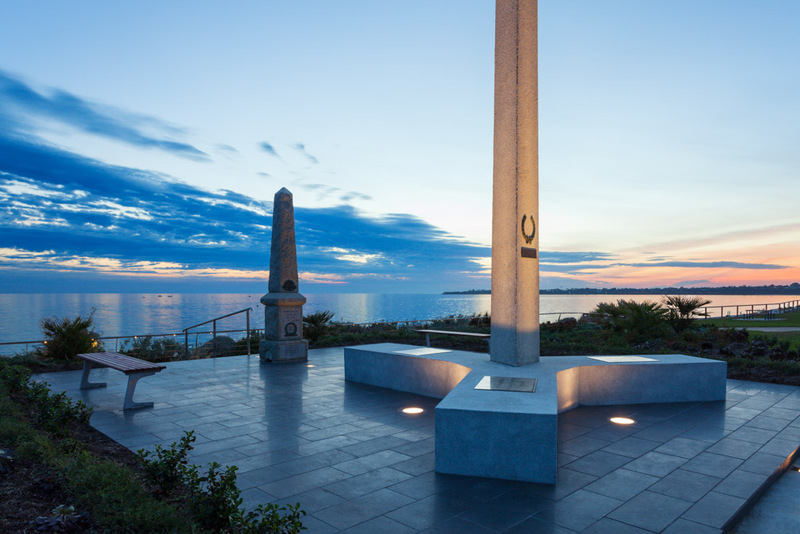 It is a small contemplative space that was developed in collaboration with the City of Whittlesea, the Memorials Working Group and the contractor (Tonkin Stone and Landscapes). 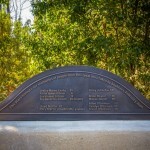 The client group requested that the memorial be a special, modest and private space of quality construction that blended well with the surrounding site. 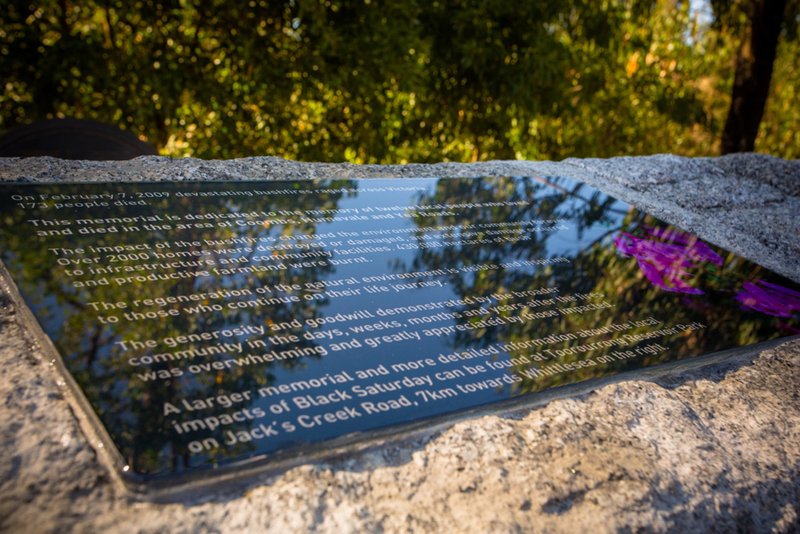 The memorial has been designed and built as a small alcove that turns its back on the nearby Whittlesea-Yea Road. A timber seat has been crafted from trees that were cleared after the fires, which follows the curves of the space. 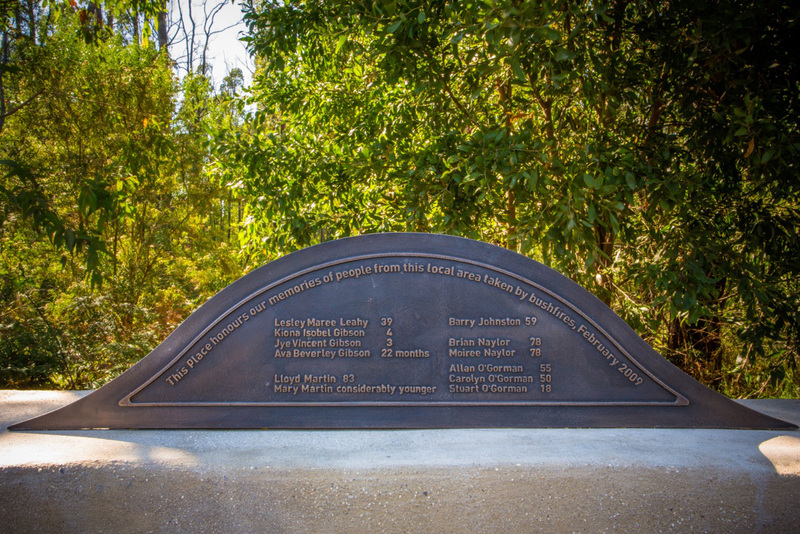 While sitting on this seat people can view the bronze plaque that contains the names of those who lost their lives. 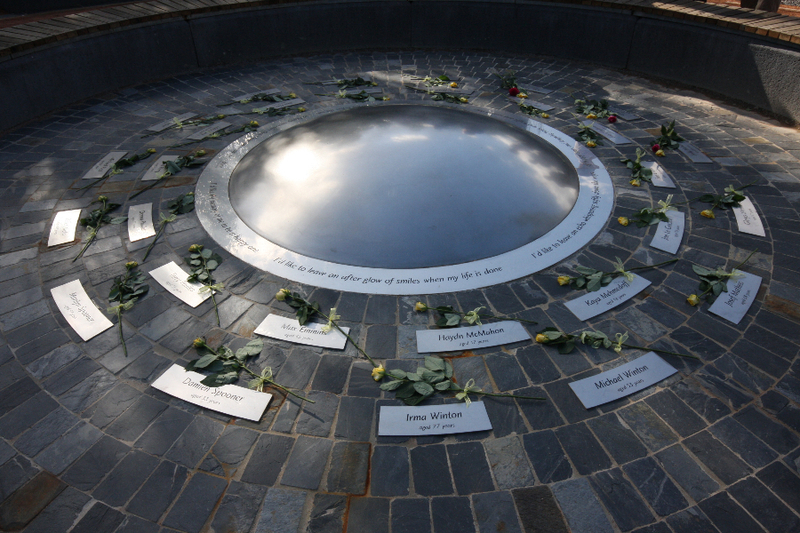 Much of the memorial is constructed from granite, the fine craftsmanship is highlighted in the wall that incorporates inlaid glass signage, and the beautiful pavements. There is also a curved concrete wall, a challenging form to build, that has been finely executed by the contractor. 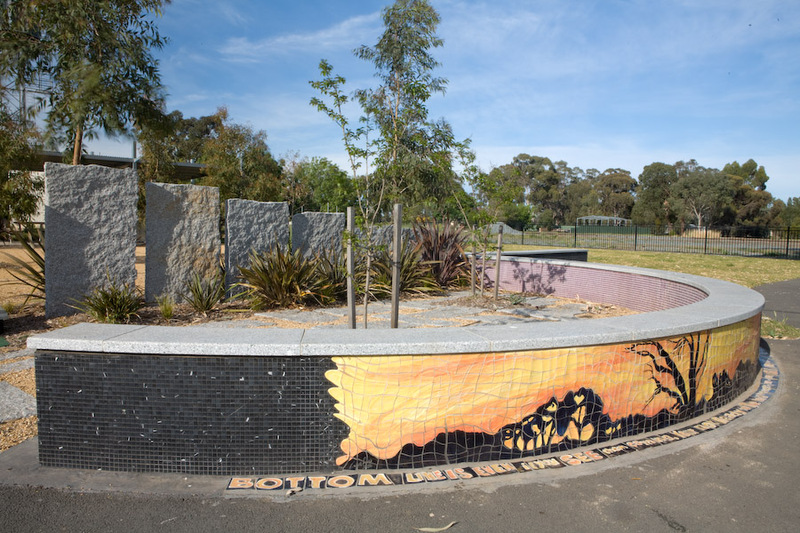 The local community and revegetation groups are planning to plant the surrounding area with local plants, which will provide the finishing touches to what we hope will provide some solace to those who lost family and friends in the fires.